Several weeks ago, the US police department in Minnesota was granted a unique warrant to collect and proceed Google search data related to ALL users from the city of Edina. Previously, similar warrants were provided to perform certain records’ search connected to a particular person in case of a seriously grounded investigation. Being so broad and powerful, the new warrant implies full freedom to penetrate into innocent people’s private lives through their Google search activity. Meanwhile, the Internet privacy experts suggest connecting via VPNs and/or using alternative search engines that keep your personal data relatively safe. The notorious warrant was issued by Edina Detective David Lindman from state of Minnesota as a tool to be applied in a bank fraud case. In January 2017, an unknown Edina resident managed to use the victim’s name to wire $28 500 from Spire Credit Union to his or her account in Bank of America. During the fraudulent transaction, the bank asked to provide a faxed copy of ID. The criminal is claimed to have searched for the victim’s name on Google and used the photo found in a fake passport to be faxed via a spoofed number in order to hide his own identity. What motivated the authorities to require the exclusive warrant is also the fact that Yahoo and Bing did not produce the same sensitive search results, which means that Google creates a favorable environment for potential perpetrations. Currently, the warrant is spread on all users who googled the victim’s name from the city of Edina in Minnesota between December 1 and January 7. The police will get access to the following types of personal data belonging to the users falling into the suspect category: name, phone number, address, all available payment information, IP addresses. Google has rejected the excessive warrant and is ready to fight in court against the unfairly broad scope of the subpoena. Anyway, the case is not over yet and people are wondering what the next step would be. In addition, the case raises some worries about similar invasive warrants to be approved by constitutional governments in the future. In this connection, privacy advocates recommend to use alternative search engines unless similar sanctions are properly standardized to regulate cooperation between operational bodies and telecommunications agents. 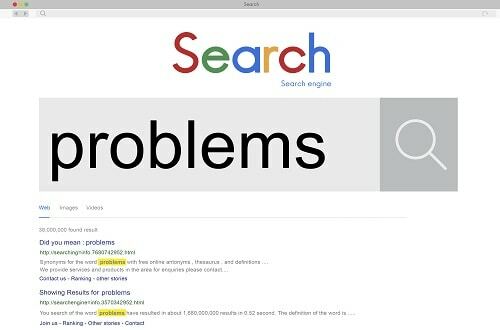 As a rule, privacy-focused search engines upload results from search giants like Google and Yahoo, but they prudently apply proxies when sending requests, so that the user identity remains unveiled. Also, the alternative search machines claim not to log any details of your search activity. In contrast, big engines monitor all your online activity in order to return targeted content. FYI, the following data is collected and stored after each search request you make: IP address, query date and time, key terms for search and a cookie ID. With all this precious info, it is more than easy to trace you back. One of the most popular ‘private’ search engines worth a try is Startpage, which has just recently introduced new features. Now Startpage provides advanced image search with a possibility to indicate a wide range of extra criteria to get max relevant results. Also, there is an Instant Answers feature that provides quick facts about the searched term with no need to proceed to the website. Another great engine that cares about your online privacy is DuckDuckGo. Just like Startpage, it leverages big engines’ bots and returns unfiltered results.